How to Fix iPhone Xs (Max)/XR/8 Not Connecting to iTunes? Find all-around troubleshooting tips and tricks from this post. - "Hi all, what to do if iTunes won't recognize my shiny new iPhone Xs... I have reset the iPhone and connected it to my iMac, but still not showing up... I prefer to do the iTunes back-up instead of the iCloud back-up as it is frustratingly slow, despite my 100/100 mbs fiber connection. What can I do to get the phone to connect with iTunes?" - "My iPhone Xs Max Not Connecting to iTunes on Windows however many times I plug out and plug in, what should I do??" 6. iPhone cannot be used because it requires a newer version of iTunes. 7. Other general iPhone not connecting to iTunes problems. Now click on the very problem like iPhone won't connect to iTunes you have and easily help yourself out. - 1-click transfer files from iPhone to PC, vice versa. Connect iPhone Xs (Max)/XR iOS 12 and more to computer and manage. For Mac users, compared to iTunes for Windows, iPhone not connecting to iTunes happens less often, but it still remains a headache for many. 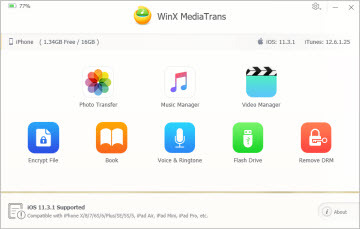 But if you are running iTunes on PC, it's really wiser to choose an iPhone file manager like WinX MediaTrans to archive media files on iPhone Xs/XR/X/8/7/6s/6 Plus. 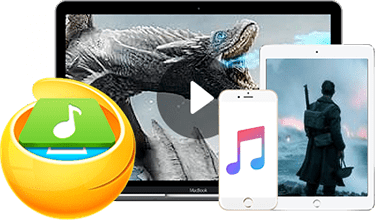 You may often run into the trouble like iTunes upgrade every time you launch it, the lengthy files syncing from iPhone to iTunes 12, and iPhone not showing up in iTunes Windows. Q - "My iPhone won't connect to iTunes but charging is fine. My USB ports are all 3.0 so why it will not connect with itunes on my Laptop." Step 1: Visit Control Panel > Device Manager > Right click the iPhone entry > Choose Update Driver; Click "Browse my computer for driver software" > Choose "Let me pick from a list of device drivers on my computer" > Click the Have Disk button. Note: If the Have Disk option is not present, hit to choose a device category such as Mobile Phone or Storage Device, and click next to enable Have Disk option. If your problem is iPhone Xs (Max)/XR not connecting to iTunes Windows 10, kindly be noted that you may access the "Apple Mobile Device USB Driver" by using the search box: visit Control Panel > Universal Serial Bus Controllers, or just seek help from Cortana. Note: Or find C:\Program Files (x86)\Common Files\Apple\Mobile Device Support\Drivers. instead. Step 3: Click OK in the "Install from Disk" dialog > Click "Next" to finish. Q - "My iphone is not showing up in iTunes as a device when plugged in, how do I fix this?" For iPhone Xs (Max)/XR iOS 12 not showing up in iTunes Windows 10/8/7, please refer to the Solution for Problem #1. For the error of iPhone not showing up on Windows 10, but connected to iTunes, please turn to the "Windows 10 not detecting iPhone" solution page. Q - "My iPhone connects to my computer but not to my iTunes. I tried to run diagnostics on iTunes, but it says it's unable to find a device..."
Solution: Please plug in your iPhone to computer again after you try each of the steps below. Step 1: Run iTunes > Help > Check for updates. Do this to ensure you have the latest version of iTunes. Step 2: Make sure you are running MacOS Sierra, or Windows 10 on your computer. Step 3: Unlock your iPhone 7 before/after connecting it to iTunes. After unlocking, you may see an alert indicating "Trust this Computer?" alert, tap Trust. Disconnect all iOS devices from computer and exit iTunes; > In "Start" menu search field, enter %ProgramData%, and press Enter; > Double-click Apple folder > Delete the Lockdown folder. After this, restart both the computer and iOS device (Must), which helps you correctly reset the lockdown folder. Step 4: Unplug all USB devices from computer. Try connecting your iPhone to each USB port; Then try a different Apple USB cable. Note: 3rd-party USB cables may work well with iPhone charging, but may cause iPhone not showing up in iTunes. That being said, you'd better go with an original cable. Step 5: Reboot computer, iPhone X/8/7/6s/6s Plus, and iTunes. Backup transfer all photos, music, videos, iBooks from old iPhone to iPhone Xs/Max and save as much iPhone storage as we can! Get it now free! Q - "I tried to connect iPhone 7 to my friend's computer because I don't have my computer at hand, but her iTunes can't recognize my iPhone, can someone help?" Before connecting your iPhone to a different computer, make sure you check in iTunes: Edit > Preference Settings > Device, to check prevent iPhone, iPad from automatic syncing. If your iPhone Xs (Max)/XR still won't connect to iTunes, go through the guide below so you'll understand. Step 1: Search for iTunes library in your computer, get to the "iTunes Media". If you've never downloaded apps to this computer there should NOT be a folder called "Mobile Application" (this will make sense later). Step 2: Plug iPhone to another computer, click "Authorize this computer" when you open iTunes and click "Store". Note: Normally this can help you when iPhone not showing up in iTunes on a new computer. But if you're thinking of transferring videos, pictures or music, please read this guide on how to transfer files from iPhone to iTunes, please read this detailed guide. 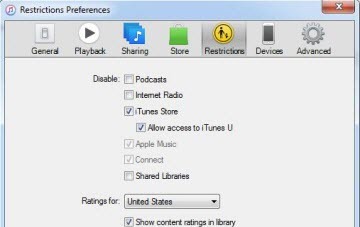 Step 1: Launch iTunes, visit Edit > Preference Setting > Devices, then under Parental Control, check Disable Access to iTunes Store except for iTunes U. Step 2: Now exit iTunes, re-launch it to see if it takes you directly to iTunes U. Should this be successful, exit iTunes U again. Step 3: Get back to Parental Control under iTunes, Enable access to iTunes Store. Normally this can fix your problem of iPhone not connecting to iTunes Store. If none of the above works for you, please contact Apple Support immediately. But if you are in an urgent need to transfer photos, music or videos, you're just good to go with WinX MediaTrans - the NO.1 fast iTunes alternative as an all-round, agile, and easy to use iPhone file manager. ☑ Get rid of iPhone not connecting to iTunes - best alternative. Now click to free download, or directly get free license key here to enjoy full features. With every iTunes upgrade iPhone not connecting to iTunes problem happens again, and iTunes 12.8 for Windows is no exception. According to Vere99 who owns an iPhone 7 iOS 10, by the time he tries to connect iPhone to iTunes (September) on computer, a warning suggesting him to upgrade to iTunes 12.8 won't stop popping out, not even when he successfully installed a newer version of iTunes 12.8. This example is given as a pre-note, in that you'd better not upgrade to iTunes 12.8 or any newer versions if you're running this software on a Windows XP/Vista. But Windows 10/7 users are good to go with iTunes 12.8, thus iPhone Xs (Max)/XR not connecting to iTunes a newer version is required seldomly happen. If you are also troubled by other problems such as iPhone Xs (Max)/XR not connecting to iTunes device timed out, iTunes could not connect to the iPhone because an invalid response was received from the device, or the connection failed after upgrade, please look back on the solution to problem # 3. That fix works for pretty much any problems you could have in case of iPhone 7 not showing up in iTunes, no matter what the cause might be. That' s all for our guide on iPhone Xs (Max)/XR/X/8/7/6s/6s Plus/SE and iTunes 12 connection problems. If neither of the solutions can sit you through your problem, please kindly indicate us on your problem via support@winxdvd.com to see if we can reach the solution. Rip DVD to iTunes to play on iPhone/iPad. iTunes won't recognize iPhone Xs/Xs Max? Use the following 6 troubleshooting tips to fix iPhone Xs/Xs Max not connecting to iTunes/not showing up in iTunes error. iTunes not recognizing my iPad Pro when connected to my Windows 10 PC, any suggestions to fix this? Check the 8 tips and solutions to solve iTunes not recognizing iPad/iPad not showing up in iTunes on Windows (10). If you see iTunes error 9 message, unluckily, you face the failure to upgrade or restore your iOS device. It pops up for multiple reasons, sometimes blaming on the hardware while sometimes software. In this article, we will list all possibilities to help fix this error.